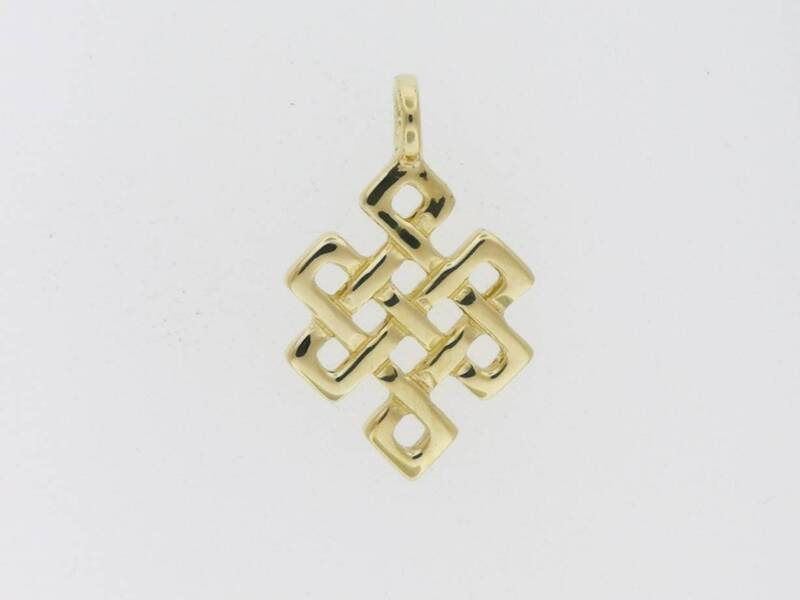 This handmade gold pendant is an endless knot made to order. 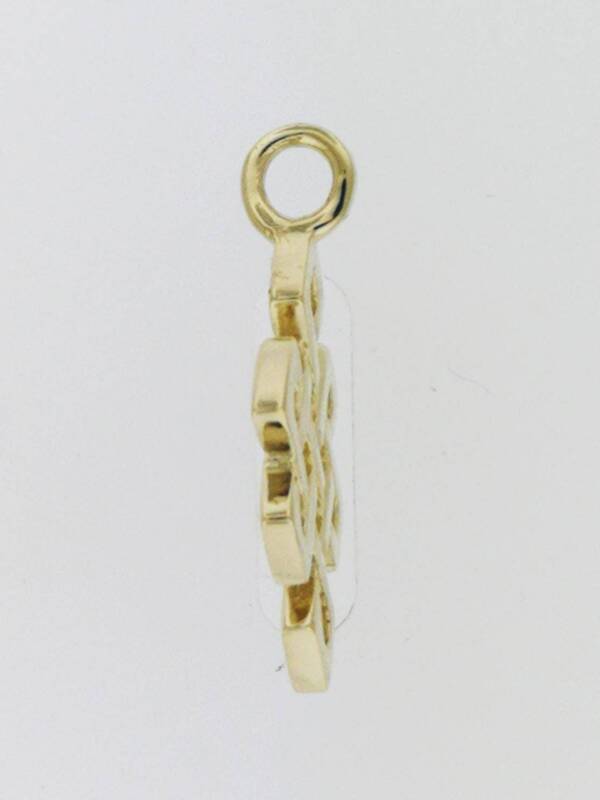 Measuring 2.7cm long and 1.6cm wide with a round ring at the top with a 3.5mm opening to pass a chain or cord. 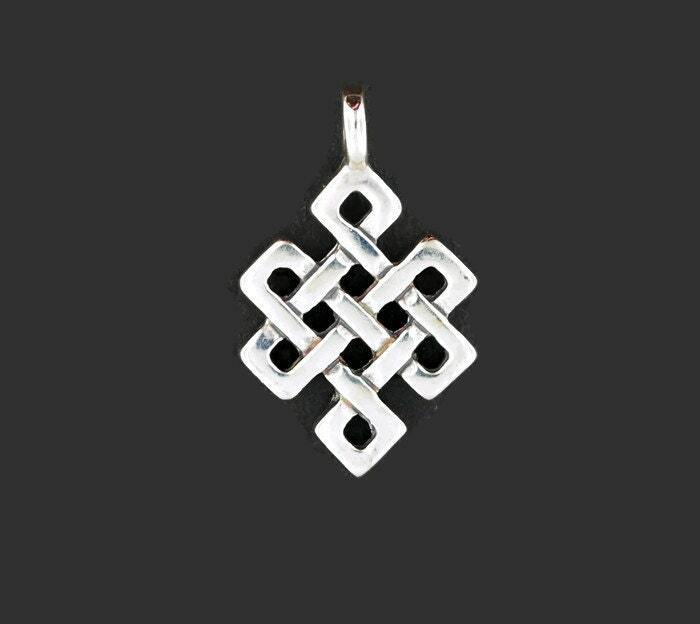 The pictures above are the pendant in sterling silver and bronze which I already offer, but wanted to put up the option in gold for customer. Made during my studies in reproduction, I used a white metal design to copy the pattern and rendered a near perfect copy of it.